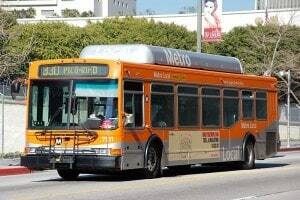 As a Metro MTA accident attorney in Los Angeles, I know that the public transit system in L.A. provides thousands of passengers each day with safe passage through the city. 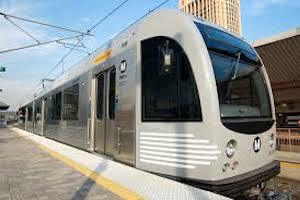 However, there are times when persons riding on buses, trains, subway cars, and light rail vehicles operated by the Los Angeles County Metropolitan Transportation Authority are injured due to the negligence or wrongdoing of another person including drivers, mechanics and other persons employed by the agency. What does the law say about the rights of the individual to collect monetary compensation for medical expenses, lost wages, physical pain and mental suffering in these instances? Where a public entity is under a mandatory duty imposed by an enactment that is designed to protect against the risk of a particular kind of injury, the public entity is liable for an injury of that kind proximately caused by its failure to discharge the duty unless the public entity establishes that it exercised reasonable diligence to discharge the duty. This means that if it can be shown that the government employee or agency violated a statute with a mandatory duty which was meant to protect individuals from the type of harm suffered, the government entity may be held “negligent per se”. This is a fairly high standard and the government entity can rebut any alleged “presumption” of negligence based upon the nature of the law and the actions involved. (b) The public entity had actual or constructive notice of the dangerous condition under Section 835.2 a sufficient time prior to the injury to have taken measures to protect against the dangerous condition. This statute would cover such instances as when a bus stop or other public property has a dangerous condition for which the MTA either knew or should have known. “Actual” notice is rarely proven but, “constructive notice” (i.e. the nature and extent of the dangerous condition was such that they should have known can be proven based upon the length of time it existed, and many other factors. (a) A public entity is liable for injury proximately caused by an act or omission of an employee of the public entity within the scope of his employment if the act or omission would, apart from this section, have given rise to a cause of action against that employee or his personal representative. (b) Except as otherwise provided by statute, a public entity is not liable for an injury resulting from an act or omission of an employee of the public entity where the employee is immune from liability. This means that, subject to “immunity” from suit provided by law, a public entity will be liable for negligent acts of its employees if such errors or omissions happened while the government worker was “on the job.” Therefore, a bus driver or train operator or maintenance employee may have acted unreasonable or failed to act reasonably and METRO may be held “vicariously liable” for those actions or inaction. Against private parties, injured persons or the family of wrongful death victims usually have up to 2 years to file a lawsuit. This is not the case if the defendant (entity being sued) is a government agency. Agencies like the L.A. Transportation Authority are required to be notified of any claim of injury or death within 6 months of the date of the incident. Furthermore, the exact agency responsible must be determined and notified. In general, the MTA or METRO in Los Angeles can be notified via a formal notice or complaint. (See METRO Claim for Damages Form). Failure to properly complete this notice and/or properly serve it upon the proper office, can be grounds for dismissal of any lawsuit filed later. Why is it so Important to Consult With a Personal Injury Lawyer Promptly Following a Metro Bus, Train, Shuttle or Other Type of Accident? There is an old saying that, “You can’t fight City Hall.” This is not exactly true but, it does raise a great point that bringing a claim against a government entity is much more complicated and difficult than suing a private individual or business. There are legal hurdles that must be overcome and strict and short time deadlines to do so. This makes it imperative to consult with a lawyer immediately if someone is injured or killed as a result of an incident involving the County of Los Angeles.